In a tall serving glass, add lemon rinds, crushed mint leaves, lemon juice, blue curacao syrup and ginger juice. Top with ice cubes and club soda and stir with a stirrer. 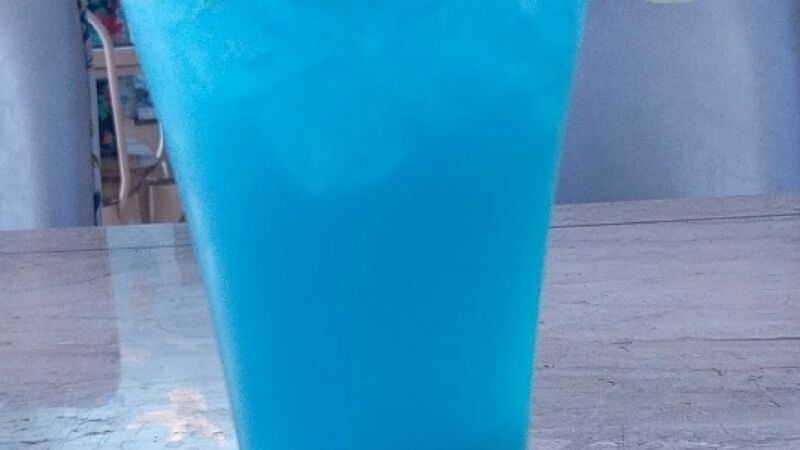 Serve this Blue Curacao Mocktail (non alcoholic) drink immediately.